The Route 66 Marathon in Tulsa remains one of the most exciting events in the city. 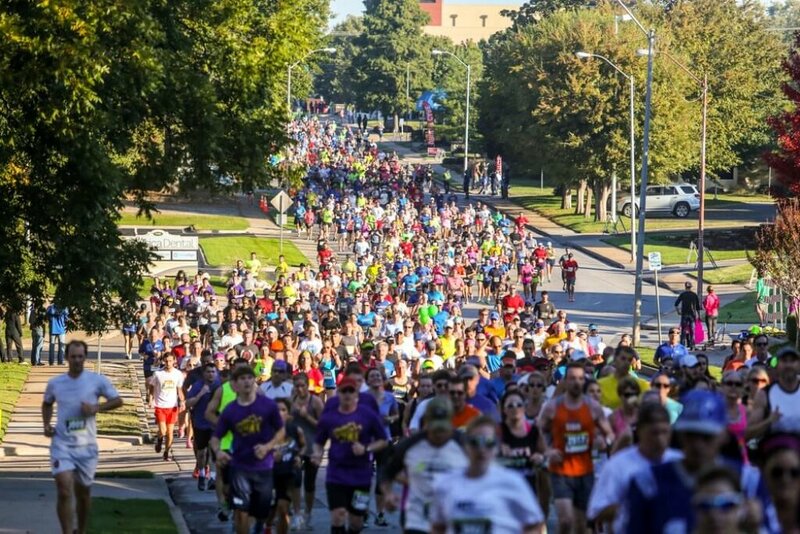 Voted Best Marathon in Oklahoma by readers of Oklahoma Sports and Fitness Magazine, this 26.2 mile race takes runners through several historic and scenic streets in the area. The sight of hundreds of Tulsa-area residents moving towards the finish line party - that encompasses a variety of delectable foods, hydrating drinks, and of course beer - is something that gives the Route 66 Marathon its legacy title. Join others through a journey on the mother of all roads. The race starts in the Downtown Tulsa area, through the energetic neighborhoods of the Utica Square, Maple Ridge, Woodward Park, and TU campus areas, and then finally to the finish line back in the Guthrie Green area in downtown. While approaching one of Midtown Tulsa's most sought out areas, Brookside, you will be welcomed with the ongoing sound of cheering as fans and patrons line the business district of Peoria. Runners then head to the beautiful Riverside area and enjoy views of the Arkansas River. Join others in the greatest Mother Road race and marathon of all time. To sign up for the Route 66 Marathon in Tulsa, visit their website (route66marathon.com) and click on the REGISTRATION option at the top of the page. This is something that, after doing once, you will want to participate in year after year.